2018 Nissan Kicks S Brilliant Silver 1.6L 4-Cylinder FWD CVT with Xtronic Nissan South conveniently located off Interstate-75 at 6889 Jonesboro Rd, Morrow, GA operates on our solid reputation of having the latest Nissan models, quality pre-owned vehicles in a large variety of makes and models, an affordable payment savvy finance department, as well as a professionally trained service and parts center to serve every customerâ€™s automotive needs. If youâ€™re searching for a new or pre-owned Nissan with low monthly payments, come by the Nissan South dealership. We look forward to assisting you find the car, truck, SUV or minivan that you want. 31/36 City/Highway MPG Nissan South also offers automotive loan financing through our Finance Department. Ask one of our finance managers about our Credit Assistance Program. Our dedicated team of sales and finance associates treat our customers with care and take your automotive concerns seriously. Our mission is for you to have a pleasurable car-buying experience with us and see you drive away in your new or used Nissan! Come by our dealership at 6889 Jonesboro Road in Morrow or call us at (770) 968-1360. We look forward to assisting all our customers in the greater Atlanta area. 2018 Nissan Kicks SV Deep Blue Pearl 1.6L 4-Cylinder FWD CVT with Xtronic Nissan South conveniently located off Interstate-75 at 6889 Jonesboro Rd, Morrow, GA operates on our solid reputation of having the latest Nissan models, quality pre-owned vehicles in a large variety of makes and models, an affordable payment savvy finance department, as well as a professionally trained service and parts center to serve every customerâ€™s automotive needs. If youâ€™re searching for a new or pre-owned Nissan with low monthly payments, come by the Nissan South dealership. We look forward to assisting you find the car, truck, SUV or minivan that you want. 31/36 City/Highway MPG Nissan South also offers automotive loan financing through our Finance Department. Ask one of our finance managers about our Credit Assistance Program. Our dedicated team of sales and finance associates treat our customers with care and take your automotive concerns seriously. Our mission is for you to have a pleasurable car-buying experience with us and see you drive away in your new or used Nissan! Come by our dealership at 6889 Jonesboro Road in Morrow or call us at (770) 968-1360. We look forward to assisting all our customers in the greater Atlanta area. 2018 Nissan Kicks SV Super Black 1.6L 4-Cylinder FWD CVT with Xtronic Nissan South conveniently located off Interstate-75 at 6889 Jonesboro Rd, Morrow, GA operates on our solid reputation of having the latest Nissan models, quality pre-owned vehicles in a large variety of makes and models, an affordable payment savvy finance department, as well as a professionally trained service and parts center to serve every customerâ€™s automotive needs. If youâ€™re searching for a new or pre-owned Nissan with low monthly payments, come by the Nissan South dealership. We look forward to assisting you find the car, truck, SUV or minivan that you want. 31/36 City/Highway MPG Nissan South also offers automotive loan financing through our Finance Department. Ask one of our finance managers about our Credit Assistance Program. Our dedicated team of sales and finance associates treat our customers with care and take your automotive concerns seriously. Our mission is for you to have a pleasurable car-buying experience with us and see you drive away in your new or used Nissan! Come by our dealership at 6889 Jonesboro Road in Morrow or call us at (770) 968-1360. We look forward to assisting all our customers in the greater Atlanta area. 2019 Nissan Rogue SV Caspian Blue Metallic 2.5L 4-Cylinder FWD CVT with Xtronic Nissan South conveniently located off Interstate-75 at 6889 Jonesboro Rd, Morrow, GA operates on our solid reputation of having the latest Nissan models, quality pre-owned vehicles in a large variety of makes and models, an affordable payment savvy finance department, as well as a professionally trained service and parts center to serve every customerâ€™s automotive needs. If youâ€™re searching for a new or pre-owned Nissan with low monthly payments, come by the Nissan South dealership. We look forward to assisting you find the car, truck, SUV or minivan that you want. 26/33 City/Highway MPG Nissan South also offers automotive loan financing through our Finance Department. Ask one of our finance managers about our Credit Assistance Program. Our dedicated team of sales and finance associates treat our customers with care and take your automotive concerns seriously. Our mission is for you to have a pleasurable car-buying experience with us and see you drive away in your new or used Nissan! Come by our dealership at 6889 Jonesboro Road in Morrow or call us at (770) 968-1360. We look forward to assisting all our customers in the greater Atlanta area. 2019 Nissan Sentra S Super Black 1.8L 4-Cylinder FWD CVT CVT, Charcoal Cloth. Nissan South conveniently located off Interstate-75 at 6889 Jonesboro Rd, Morrow, GA operates on our solid reputation of having the latest Nissan models, quality pre-owned vehicles in a large variety of makes and models, an affordable payment savvy finance department, as well as a professionally trained service and parts center to serve every customerâ€™s automotive needs. If youâ€™re searching for a new or pre-owned Nissan with low monthly payments, come by the Nissan South dealership. We look forward to assisting you find the car, truck, SUV or minivan that you want. Nissan South also offers automotive loan financing through our Finance Department. Ask one of our finance managers about our Credit Assistance Program. Our dedicated team of sales and finance associates treat our customers with care and take your automotive concerns seriously. Our mission is for you to have a pleasurable car-buying experience with us and see you drive away in your new or used Nissan! Come by our dealership at 6889 Jonesboro Road in Morrow or call us at (770) 968-1360. We look forward to assisting all our customers in the greater Atlanta area. 2019 Nissan Sentra S Gun Metallic 1.8L 4-Cylinder FWD CVT CVT, Charcoal Cloth. Nissan South conveniently located off Interstate-75 at 6889 Jonesboro Rd, Morrow, GA operates on our solid reputation of having the latest Nissan models, quality pre-owned vehicles in a large variety of makes and models, an affordable payment savvy finance department, as well as a professionally trained service and parts center to serve every customerâ€™s automotive needs. If youâ€™re searching for a new or pre-owned Nissan with low monthly payments, come by the Nissan South dealership. We look forward to assisting you find the car, truck, SUV or minivan that you want. Nissan South also offers automotive loan financing through our Finance Department. Ask one of our finance managers about our Credit Assistance Program. Our dedicated team of sales and finance associates treat our customers with care and take your automotive concerns seriously. Our mission is for you to have a pleasurable car-buying experience with us and see you drive away in your new or used Nissan! Come by our dealership at 6889 Jonesboro Road in Morrow or call us at (770) 968-1360. We look forward to assisting all our customers in the greater Atlanta area. 2019 Nissan Sentra SV Super Black 1.8L 4-Cylinder FWD CVT CVT, Charcoal Cloth. Nissan South conveniently located off Interstate-75 at 6889 Jonesboro Rd, Morrow, GA operates on our solid reputation of having the latest Nissan models, quality pre-owned vehicles in a large variety of makes and models, an affordable payment savvy finance department, as well as a professionally trained service and parts center to serve every customerâ€™s automotive needs. If youâ€™re searching for a new or pre-owned Nissan with low monthly payments, come by the Nissan South dealership. We look forward to assisting you find the car, truck, SUV or minivan that you want. 29/37 City/Highway MPG Nissan South also offers automotive loan financing through our Finance Department. Ask one of our finance managers about our Credit Assistance Program. Our dedicated team of sales and finance associates treat our customers with care and take your automotive concerns seriously. Our mission is for you to have a pleasurable car-buying experience with us and see you drive away in your new or used Nissan! Come by our dealership at 6889 Jonesboro Road in Morrow or call us at (770) 968-1360. We look forward to assisting all our customers in the greater Atlanta area. 2019 Nissan Altima 2.5 SV Pearl White 2.5L 4-Cylinder FWD CVT with Xtronic CVT with Xtronic. Nissan South conveniently located off Interstate-75 at 6889 Jonesboro Rd, Morrow, GA operates on our solid reputation of having the latest Nissan models, quality pre-owned vehicles in a large variety of makes and models, an affordable payment savvy finance department, as well as a professionally trained service and parts center to serve every customerâ€™s automotive needs. If youâ€™re searching for a new or pre-owned Nissan with low monthly payments, come by the Nissan South dealership. We look forward to assisting you find the car, truck, SUV or minivan that you want. 28/39 City/Highway MPG Nissan South also offers automotive loan financing through our Finance Department. Ask one of our finance managers about our Credit Assistance Program. Our dedicated team of sales and finance associates treat our customers with care and take your automotive concerns seriously. Our mission is for you to have a pleasurable car-buying experience with us and see you drive away in your new or used Nissan! Come by our dealership at 6889 Jonesboro Road in Morrow or call us at (770) 968-1360. We look forward to assisting all our customers in the greater Atlanta area. 2019 Nissan Altima 2.5 SV Scarlet 2.5L 4-Cylinder FWD CVT with Xtronic CVT with Xtronic. Nissan South conveniently located off Interstate-75 at 6889 Jonesboro Rd, Morrow, GA operates on our solid reputation of having the latest Nissan models, quality pre-owned vehicles in a large variety of makes and models, an affordable payment savvy finance department, as well as a professionally trained service and parts center to serve every customerâ€™s automotive needs. If youâ€™re searching for a new or pre-owned Nissan with low monthly payments, come by the Nissan South dealership. We look forward to assisting you find the car, truck, SUV or minivan that you want. 28/39 City/Highway MPG Nissan South also offers automotive loan financing through our Finance Department. Ask one of our finance managers about our Credit Assistance Program. Our dedicated team of sales and finance associates treat our customers with care and take your automotive concerns seriously. Our mission is for you to have a pleasurable car-buying experience with us and see you drive away in your new or used Nissan! Come by our dealership at 6889 Jonesboro Road in Morrow or call us at (770) 968-1360. We look forward to assisting all our customers in the greater Atlanta area. 2019 Nissan Maxima 3.5 S Gun Metallic 3.5L 6-Cylinder FWD CVT with Xtronic Nissan South conveniently located off Interstate-75 at 6889 Jonesboro Rd, Morrow, GA operates on our solid reputation of having the latest Nissan models, quality pre-owned vehicles in a large variety of makes and models, an affordable payment savvy finance department, as well as a professionally trained service and parts center to serve every customerâ€™s automotive needs. If youâ€™re searching for a new or pre-owned Nissan with low monthly payments, come by the Nissan South dealership. We look forward to assisting you find the car, truck, SUV or minivan that you want. 20/30 City/Highway MPG Nissan South also offers automotive loan financing through our Finance Department. Ask one of our finance managers about our Credit Assistance Program. Our dedicated team of sales and finance associates treat our customers with care and take your automotive concerns seriously. Our mission is for you to have a pleasurable car-buying experience with us and see you drive away in your new or used Nissan! Come by our dealership at 6889 Jonesboro Road in Morrow or call us at (770) 968-1360. We look forward to assisting all our customers in the greater Atlanta area. 2019 Nissan Altima 2.5 Scarlet 2.5L 4-Cylinder FWD CVT with Xtronic CVT with Xtronic. Nissan South conveniently located off Interstate-75 at 6889 Jonesboro Rd, Morrow, GA operates on our solid reputation of having the latest Nissan models, quality pre-owned vehicles in a large variety of makes and models, an affordable payment savvy finance department, as well as a professionally trained service and parts center to serve every customerâ€™s automotive needs. If youâ€™re searching for a new or pre-owned Nissan with low monthly payments, come by the Nissan South dealership. We look forward to assisting you find the car, truck, SUV or minivan that you want. 27/37 City/Highway MPG Nissan South also offers automotive loan financing through our Finance Department. Ask one of our finance managers about our Credit Assistance Program. Our dedicated team of sales and finance associates treat our customers with care and take your automotive concerns seriously. Our mission is for you to have a pleasurable car-buying experience with us and see you drive away in your new or used Nissan! Come by our dealership at 6889 Jonesboro Road in Morrow or call us at (770) 968-1360. We look forward to assisting all our customers in the greater Atlanta area. 2019 Nissan Altima 2.5 SR Brilliant Silver Metallic 2.5L 4-Cylinder FWD CVT with Xtronic CVT with Xtronic. Nissan South conveniently located off Interstate-75 at 6889 Jonesboro Rd, Morrow, GA operates on our solid reputation of having the latest Nissan models, quality pre-owned vehicles in a large variety of makes and models, an affordable payment savvy finance department, as well as a professionally trained service and parts center to serve every customerâ€™s automotive needs. If youâ€™re searching for a new or pre-owned Nissan with low monthly payments, come by the Nissan South dealership. We look forward to assisting you find the car, truck, SUV or minivan that you want. 27/37 City/Highway MPG Nissan South also offers automotive loan financing through our Finance Department. Ask one of our finance managers about our Credit Assistance Program. Our dedicated team of sales and finance associates treat our customers with care and take your automotive concerns seriously. Our mission is for you to have a pleasurable car-buying experience with us and see you drive away in your new or used Nissan! Come by our dealership at 6889 Jonesboro Road in Morrow or call us at (770) 968-1360. We look forward to assisting all our customers in the greater Atlanta area. 2019 Nissan Sentra SR Aspen White 1.8L 4-Cylinder FWD CVT CVT, Charcoal Cloth. Nissan South conveniently located off Interstate-75 at 6889 Jonesboro Rd, Morrow, GA operates on our solid reputation of having the latest Nissan models, quality pre-owned vehicles in a large variety of makes and models, an affordable payment savvy finance department, as well as a professionally trained service and parts center to serve every customerâ€™s automotive needs. If youâ€™re searching for a new or pre-owned Nissan with low monthly payments, come by the Nissan South dealership. We look forward to assisting you find the car, truck, SUV or minivan that you want. 29/37 City/Highway MPG Nissan South also offers automotive loan financing through our Finance Department. Ask one of our finance managers about our Credit Assistance Program. Our dedicated team of sales and finance associates treat our customers with care and take your automotive concerns seriously. Our mission is for you to have a pleasurable car-buying experience with us and see you drive away in your new or used Nissan! Come by our dealership at 6889 Jonesboro Road in Morrow or call us at (770) 968-1360. We look forward to assisting all our customers in the greater Atlanta area. 2019 Nissan Rogue SV Scarlet 2.5L 4-Cylinder FWD CVT with Xtronic Nissan South conveniently located off Interstate-75 at 6889 Jonesboro Rd, Morrow, GA operates on our solid reputation of having the latest Nissan models, quality pre-owned vehicles in a large variety of makes and models, an affordable payment savvy finance department, as well as a professionally trained service and parts center to serve every customerâ€™s automotive needs. If youâ€™re searching for a new or pre-owned Nissan with low monthly payments, come by the Nissan South dealership. We look forward to assisting you find the car, truck, SUV or minivan that you want. 26/33 City/Highway MPG Nissan South also offers automotive loan financing through our Finance Department. Ask one of our finance managers about our Credit Assistance Program. Our dedicated team of sales and finance associates treat our customers with care and take your automotive concerns seriously. Our mission is for you to have a pleasurable car-buying experience with us and see you drive away in your new or used Nissan! Come by our dealership at 6889 Jonesboro Road in Morrow or call us at (770) 968-1360. We look forward to assisting all our customers in the greater Atlanta area. 2018 Nissan Rogue S Caspian Blue 2.5L 4-Cylinder FWD CVT with Xtronic Nissan South conveniently located off Interstate-75 at 6889 Jonesboro Rd, Morrow, GA operates on our solid reputation of having the latest Nissan models, quality pre-owned vehicles in a large variety of makes and models, an affordable payment savvy finance department, as well as a professionally trained service and parts center to serve every customerâ€™s automotive needs. If youâ€™re searching for a new or pre-owned Nissan with low monthly payments, come by the Nissan South dealership. We look forward to assisting you find the car, truck, SUV or minivan that you want. 26/33 City/Highway MPG Nissan South also offers automotive loan financing through our Finance Department. Ask one of our finance managers about our Credit Assistance Program. Our dedicated team of sales and finance associates treat our customers with care and take your automotive concerns seriously. Our mission is for you to have a pleasurable car-buying experience with us and see you drive away in your new or used Nissan! Come by our dealership at 6889 Jonesboro Road in Morrow or call us at (770) 968-1360. We look forward to assisting all our customers in the greater Atlanta area. 2019 Nissan Sentra SR Gun Metallic 1.8L 4-Cylinder FWD CVT CVT, Charcoal Cloth. Nissan South conveniently located off Interstate-75 at 6889 Jonesboro Rd, Morrow, GA operates on our solid reputation of having the latest Nissan models, quality pre-owned vehicles in a large variety of makes and models, an affordable payment savvy finance department, as well as a professionally trained service and parts center to serve every customerâ€™s automotive needs. If youâ€™re searching for a new or pre-owned Nissan with low monthly payments, come by the Nissan South dealership. We look forward to assisting you find the car, truck, SUV or minivan that you want. 29/37 City/Highway MPG Nissan South also offers automotive loan financing through our Finance Department. Ask one of our finance managers about our Credit Assistance Program. Our dedicated team of sales and finance associates treat our customers with care and take your automotive concerns seriously. Our mission is for you to have a pleasurable car-buying experience with us and see you drive away in your new or used Nissan! Come by our dealership at 6889 Jonesboro Road in Morrow or call us at (770) 968-1360. We look forward to assisting all our customers in the greater Atlanta area. 2019 Nissan Armada Platinum Super Black 5.6L 8-Cylinder RWD 7-Speed Automatic Nissan South conveniently located off Interstate-75 at 6889 Jonesboro Rd, Morrow, GA operates on our solid reputation of having the latest Nissan models, quality pre-owned vehicles in a large variety of makes and models, an affordable payment savvy finance department, as well as a professionally trained service and parts center to serve every customerâ€™s automotive needs. If youâ€™re searching for a new or pre-owned Nissan with low monthly payments, come by the Nissan South dealership. We look forward to assisting you find the car, truck, SUV or minivan that you want. Nissan South also offers automotive loan financing through our Finance Department. Ask one of our finance managers about our Credit Assistance Program. Our dedicated team of sales and finance associates treat our customers with care and take your automotive concerns seriously. Our mission is for you to have a pleasurable car-buying experience with us and see you drive away in your new or used Nissan! Come by our dealership at 6889 Jonesboro Road in Morrow or call us at (770) 968-1360. We look forward to assisting all our customers in the greater Atlanta area. 2019 Nissan Pathfinder SV Gun Metallic 3.5L 6-Cylinder FWD CVT with Xtronic Nissan South conveniently located off Interstate-75 at 6889 Jonesboro Rd, Morrow, GA operates on our solid reputation of having the latest Nissan models, quality pre-owned vehicles in a large variety of makes and models, an affordable payment savvy finance department, as well as a professionally trained service and parts center to serve every customerâ€™s automotive needs. If youâ€™re searching for a new or pre-owned Nissan with low monthly payments, come by the Nissan South dealership. We look forward to assisting you find the car, truck, SUV or minivan that you want. 20/27 City/Highway MPG Nissan South also offers automotive loan financing through our Finance Department. Ask one of our finance managers about our Credit Assistance Program. Our dedicated team of sales and finance associates treat our customers with care and take your automotive concerns seriously. Our mission is for you to have a pleasurable car-buying experience with us and see you drive away in your new or used Nissan! Come by our dealership at 6889 Jonesboro Road in Morrow or call us at (770) 968-1360. We look forward to assisting all our customers in the greater Atlanta area. Recent Arrival! 2019 Nissan Armada Platinum Almond Pearl 5.6L 8-Cylinder RWD 7-Speed Automatic Nissan South conveniently located off Interstate-75 at 6889 Jonesboro Rd, Morrow, GA operates on our solid reputation of having the latest Nissan models, quality pre-owned vehicles in a large variety of makes and models, an affordable payment savvy finance department, as well as a professionally trained service and parts center to serve every customerâ€™s automotive needs. If youâ€™re searching for a new or pre-owned Nissan with low monthly payments, come by the Nissan South dealership. We look forward to assisting you find the car, truck, SUV or minivan that you want. Nissan South also offers automotive loan financing through our Finance Department. Ask one of our finance managers about our Credit Assistance Program. Our dedicated team of sales and finance associates treat our customers with care and take your automotive concerns seriously. Our mission is for you to have a pleasurable car-buying experience with us and see you drive away in your new or used Nissan! Come by our dealership at 6889 Jonesboro Road in Morrow or call us at (770) 968-1360. We look forward to assisting all our customers in the greater Atlanta area. 2019 Nissan Rogue SL Magnetic Black Pearl 2.5L 4-Cylinder FWD CVT with Xtronic Nissan South conveniently located off Interstate-75 at 6889 Jonesboro Rd, Morrow, GA operates on our solid reputation of having the latest Nissan models, quality pre-owned vehicles in a large variety of makes and models, an affordable payment savvy finance department, as well as a professionally trained service and parts center to serve every customerâ€™s automotive needs. If youâ€™re searching for a new or pre-owned Nissan with low monthly payments, come by the Nissan South dealership. We look forward to assisting you find the car, truck, SUV or minivan that you want. 26/33 City/Highway MPG Nissan South also offers automotive loan financing through our Finance Department. Ask one of our finance managers about our Credit Assistance Program. Our dedicated team of sales and finance associates treat our customers with care and take your automotive concerns seriously. Our mission is for you to have a pleasurable car-buying experience with us and see you drive away in your new or used Nissan! Come by our dealership at 6889 Jonesboro Road in Morrow or call us at (770) 968-1360. We look forward to assisting all our customers in the greater Atlanta area. This year’s line-up of new Nissan cars, trucks, and SUVs includes the Altima, Sentra, Versa, Versa Note, Maxima, 370Z, GT-R, Rogue, Morano, Pathfinder, Juke, Armada, Frontier, Titan, Titan XD, Quest, NV200, and the much anticipated fully electric Nissan LEAF. 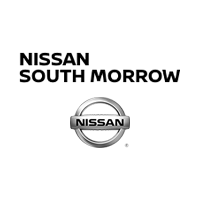 An enormous assortment of modern, luxurious cars, trucks, and SUVs to get you where you need to be in style can be found at Nissan South in Morrow. It should also come as no surprise that each vehicle comes standard with Nissan’s highly esteemed safety ratings. The new 2017 Nissan Line up is loaded with enough features to make any car, truck, and SUV enthusiast’s dreams come true. Never pay for gasoline again with the new fully electric Nissan LEAF, which can go one hundred and seven miles on a single charge. Not your style? What about the new Nissan Rogue Sport with higher ceiling space and dog boned shaped cup holders you can stick your tablet or papers in when you’re done with your morning coffee. Still don’t have your attention? Check out the new technologically savvy safety features that help you keep from hitting what you shouldn’t. Nissan keeps an eye on your speed and proximity to the vehicle ahead of you, and warns you if you need to slow down, applying the brakes if you fail to respond. Once you’ve experienced a test drive in one of our brand-new Nissan cars, trucks, or SUVs at Nissan South in Morrow, you’re sure to want one for yourself. Be sure to contact us via phone or our website to get in the Nissan that’s right for you!